Min Zhou (Ph.D. SUNY-Albany) is Professor of Sociology & Asian American Studies and Walter and Shirley Wang Endowed Chair in US-China Relations & Communications. She is currenly Director of UCLA Asia Pacific Center (2016+). She was the Inaugural Chair of the Department of Asian American Studies (2001-05) at UCLA. During 2013 to 2016, she served as Tan Lark Sye Chair Professor, Head of Sociology Division, and Director of the Chinese Heritage Centre at Nanyang Technological University, Singapore. Her main research interests include migration and development, race and ethnicity, Asia and Asia America, Chinese diaspora, and urban sociology. She has done extensive work on immigrant transnationalism, intra-Asian migrations, Chinese diasporas, the new second generation, Asian Americans, immigrant entrepreneurship, ethnic language media, and ethnic system of supplementary education. She has also done work on China, including housing reform, internal migration, migrant-sending communities, and African migration to China. She is the author of Chinatown: The Socioeconomic Potential of an Urban Enclave (1992); Contemporary Chinese America: Immigration, Ethnicity, and Community Transformation (2009); The Accidental Sociologist in Asian American Studies (2011); Contemporary Chinese Diasporas (ed. 2017). 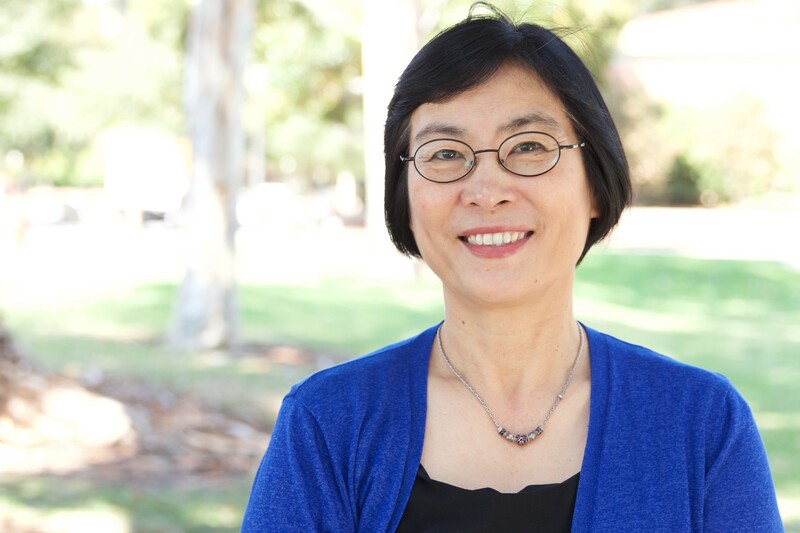 She is the co-author of Growing up American: How Vietnamese Children Adapt to Life in the United States (with Bankston, 1998), The Asian American Achievement Paradox (with Lee, 2015), and The Rise of the New Second Generation (with Bankston, 2016); co-editor of Contemporary Asian America, 3rd ed. (with Ocampo, 2016); and co-editor of Asian American Youth (with Lee, 2004). Her book The Asian American Achievement Paradox received five major academic awards. She is the recipient of the 2017 Distinguished Career Award of the American Sociological Association Section on International Migration. Chinatown: The Socioeconomic Potential of an Urban Enclave (Temple University Press, 1992). “Growing Up American: The Challenge Confronting Immigrant Children and Children of Immigrants,” Annual Review of Sociology 23: 63-95, 1997. “Segmented Assimilation: Issues, Controversies, and Recent Research on the New Second Generation,” International Migration Review 31 (4): 825-858, 1997. Growing up American: How Vietnamese Children Adapt to Life in the United States (with Bankston, Russell Sage Foundation, 1998). “‘Parachute Kids’ in Southern California: The Educational Experience of Chinese Children in Transnational Families,” Educational Policy 12 (6): 682-704, 1998. “Rebuilding Spiritual Lives in the New Land: Religious Practices among Southeast Asian Refugees in the United States,” pp. 37-70 in Pyong Gap Min and Jung Ha Kim (eds. ), Religions in Asian America: Building Faith Communities. Walnut Creek, Ca. : AltaMira Press, 2002 (with Bankston and Kim). “A Tale of Two Metropolises: Immigrant Chinese Communities in New York and Los Angeles,” pp. 124-149 in David Halle, ed., Los Angeles and New York in the New Millennium, Chicago: University of Chicago Press, 2003 (with Kim). “Ethnic Language Schools and the Development of Supplementary Education in the Immigrant Chinese Community in the United States,” New Directions for Youth Development: Understanding the Social Worlds of Immigrant Youth (Winter): 57-73, 2003 (with Li). Asian American Youth: Culture, Identity, and Ethnicity. New York: Routledge, 2004 (eds. with J. Lee). “Are Asian Americans Becoming White?” Contexts 3 (1): 29-37, 2004. “The Multifaceted American Experience of the Children of Asian Immigrants: Lessons for Segmented Assimilation,” Ethnic and Racial Studies 28 (6): 1119-1152, 2005 (with Xiong). “Community Forces, Social Capital, and Educational Achievement: The Case of Supplementary Education in the Chinese and Korean Immigrant Communities,” Harvard Educational Review 76 (1): 1-29, 2006 (with Kim). “The Ethnic System of Supplementary Education: Non-profit and Forprofit Institutions in Los Angeles’ Chinese Immigrant Community,” pp. 229-251 in Beth Shinn and Hirokazu Yoshikawa, eds., Toward Positive Youth Development: Transforming Schools and Community Programs, New York: Oxford University Press, 2008. “Success Attained, Deterred, and Denied: Divergent Pathways to Social Mobility among the New Second Generation in Los Angeles.” The Annals of the American Academy of Political and Social Science 620: 37-61, 2008 (with Lee, Agius Vallejo, Tafoya-Estrada, and Xiong). “Rethinking Residential Assimilation through the Case of Chinese Ethnoburbs in the San Gabriel Valley, California.” Amerasia Journal 34 (3): 55-83, 2008 (with Tseng and Kim). Contemporary Chinese America: Immigration, Ethnicity, and Community Transformation (Temple University Press, 2009). “How Neighborhoods Matter for Immigrant Children: The Formation of Educational Resources in Chinatown, Koreatown, and Pico Union, Los Angeles.” Journal of Ethnic and Migration Studies 35 (7): 1153-1179, 2009. “Noneconomic Effects of Ethnic Entrepreneurship: Evidence from Chinatown and Koreatown in Los Angeles, USA.” Thunderbird International Business Review 52 (2) 83-96, 2010 (with Cho). The Accidental Sociologist in Asian American Studies. Los Angeles: UCLA Asian American Studies Center Press, 2011. “Transnationalism and Community Building: Chinese Immigrant Organizations in the United States.” ANNALS of the American Academy of Political and Social Science 647: 22-49, 2013 (with R. Lee). “The Success Frame and Achievement Paradox: The Costs and Consequences for Asian Americans.” Race and Social Problems 6 (1): 38-55, 2014 (with Lee). “Intra-Diaspora Dynamics in Generational Formation: The Case of Chinese America.” Diaspora 18 (1-2): 89-116, 2015. Contemporary Asian America: A Multidisciplinary Reader. Third edition. New York: New York University Press, 2016 (eds. with Ocampo). “Cross-Space Consumption: Grassroots Transnationalism among Undocumented Chinese Immigrants in the United States.” Sociology of Development 2 (2): 158-182, 2016 (with Li). “Homeland Engagement and Host-Society Integration: A Comparative Study of New Chinese Immigrants in the United States and Singapore.” International Journal of Comparative Sociology 57 (1-2): 30-52, 2016 (with Liu). “Encountering Strangers in an Emerging Global City: Chinese Attitudes toward African Migrants in Guangzhou, China.” The International Journal of Sociology 46 (2): 141-161, 2016 (with Shenasi and Xu). “Entrepreneurship and Interracial Dynamics: A Case Study of Self-Employed Africans and Chinese in Guangzhou, China.” Ethnic and Racial Studies 39 (9): 1566-1586, 2016 (with Xu and Shenasi). “Rejoinder: Unraveling the Link between Culture and Achievement.” Symposium on The Asian American Achievement Paradox by Jennifer Lee and Min Zhou (Russell Sage Foundation, 2015). Ethnic and Racial Studies 39 (13): 2404-241, 2016 (with Lee). “Hyper-Selectivity and the Remaking of Culture: Understanding the Asian American Achievement Paradox.” Asian American Journal of Psychology 8 (1): 7-15, 2017 (with Lee). Contemporary Chinese Diasporas. Singapore: Palgrave Macmillan, 2017 (435 pp.). “Remittances for Collective Consumption and Social Status Compensation: Variations on Transnational Practices among Chinese Migrants.” International Migration Review 52(1):4-42, 2018 (with Li). “Global Dynamics of Immigrant Entrepreneurship: Changing Trends, Ethnonational Variations, and Reconceptualizations.” International Journal of Entrepreneurial Behavior & Research, forthcoming (with Nazareno and You). “Simultaneous Embeddedness of Immigrant Entrepreneurship: Global Forces behind the Chinese-Owned Nail Salon Industry in New York City.” Racial and Ethnic Studies, forthcoming.